Spring had officially sprung, and I finally took my first ever spring break vacation with my daughter last week, and the weather could not have been more perfect. 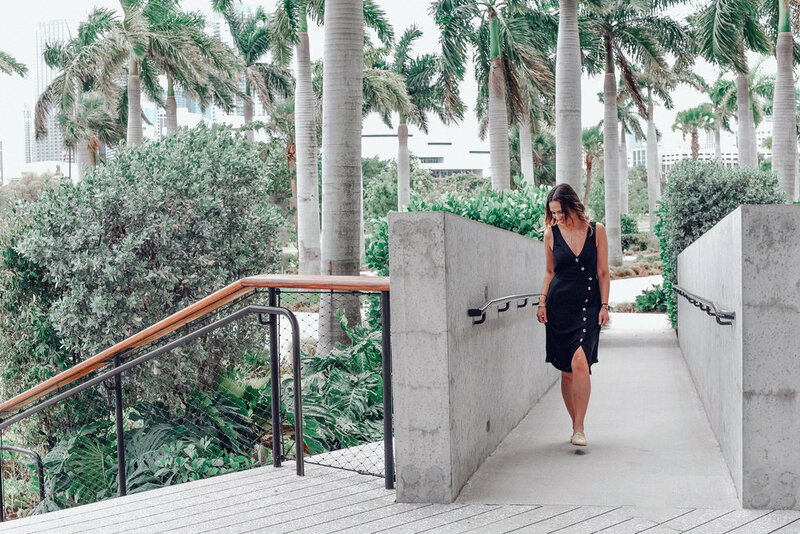 I got this Sleeveless Button Front Midi Dress from Target right before I left on vacation (when the weather was perfect) and the moment I put the dress in Miami, I knew it was a perfect casual dress to wear all day. The silhouette is a classic, relaxed fit (and very flattering on all shapes) made from 100% rayon, and features a button-front design with an asymmetrical shape, and finished off with a back-tie, cinched-waist closure. Also, another target find was these classic woven backless mules. In a neutral hue, these woven mules complemented the black dress and were perfect on the feet for beach walks into dinner nights, but I can also be paired up a comfy striped tee and jeans. This Sleeveless Button Front Midi Dress is the perfect addition to my spring (and summer) wardrobe. I cannot wait to wear it over and over again!